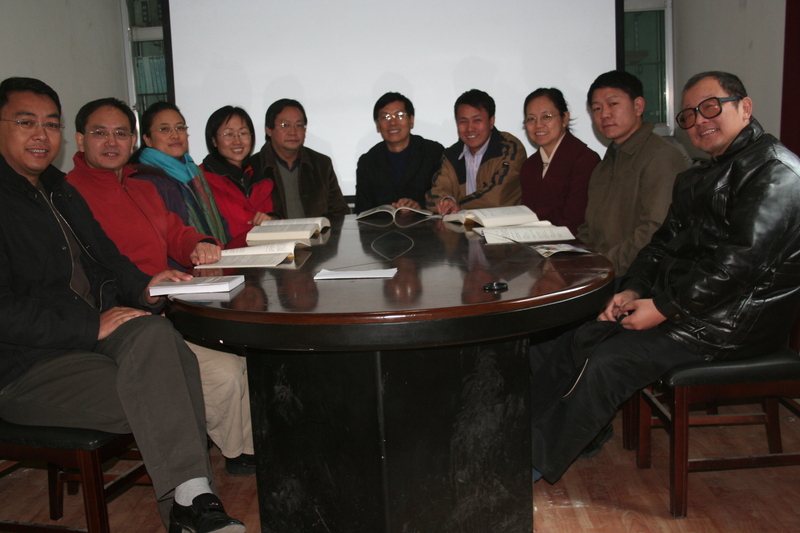 The creation of writing systems and nation establishment: the case of China in the 1950s. （48千字） . Minglang Zhou (ed.) Language Policy in China: Theory and Practice Since 1949, Dordrecht, The Netherlands: Kluwer Academic Publishers. The Problem of Continuous Decline of Students in Maintenance Bilingual Program in Inner Mongolia.（48千字） Education: Canada, China, Taiwan, pp. 59-70. Printed in Canada by Printing Services, University of Saskatchewan. 《中国藏语文的使用和发展》（28千字），（英文）。Minglang Zhou (ed.) Language Policy in China: Theory and Practice Since 1949, Dordrecht, The Netherlands: Kluwer Academic Publishers. Language policy for Bai.（10千字）. Minglang Zhou (ed.) Language Policy in China: Theory and Practice Since 1949, Dordrecht, The Netherlands: Kluwer Academic Publishers. Adjectives in Qiang（羌语的形容词）（20千字）（与罗仁地合著）. R. M. W. Dixon and Alexandra Y. Aikhenvald (eds) . Adjective Classes: A cross-linguistic typology. Oxford: Oxford University Press, 2004. Survey of the current situation of Laomian and Laopin in China（8千字）, International Journal of the Sociology of Language ，173, Language Endangerment in the Sinosphere. Mouton de Gruyter, Berlin, New York. Language Loss Threatens Chinese Culture Diversity. SangSaeng No.18 .Spring , 2007. The Copula and Existential Verbs in Qiang，（与罗仁地合著），Bulletin of Chinese Linguistics, Vol.1, No. 2, 2007. Relative Clauses in Tujia.（12千字） Language and Lingistics. Vol. 9, No. 4. 2008. Vowel Harmony in Ronghong Qiang: Bottom up（20千字）（与余文生合著），法国《东亚语言学报Cahiers de Linguistique Asie Orientale》, Vol 36. 2. 2007. The Tai Kadai Languages, chapter 20. Anthony V. N. Diller , Jerold A. Edmondson and Yongxian Luo ( eds.). Routledge Taylor & Francis Group London and New York 2008.